Following in the Yoga Book's unconventional footsteps, Lenovo is back with an even more radical notebook design. 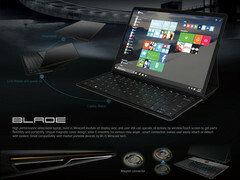 Dubbed "Blade," the 2-in-1 device is at once a Windows laptop and Android tablet, and employs a unique mechanism for linking the two. Lenovo's pair of Yoga Book notebooks may have earned it the distinction of being named the most innovative company of 2016, but it has even bigger plans for 2018 (innovation apparently needs to take a year off). A new design published by the iF World Design Guide shows off details for a new type of convertible laptop that is even more radical than its predecessor. Called the Lenovo Blade, it looks like a typical 2-in-1 device, a notebook computer with a detachable keyboard that allows it to function as a tablet. What's different about the Blade, however, is how it seems to work. The keyboard houses all the hardware components it requires to run Windows 10 and streams the desktop to the tablet, which acts as a standalone display, via Miracast. The reason the tablet is considered as such—and not as a simple dumb screen— is because it also contains its own hardware, separate from the keyboard base, which it uses to run Android. 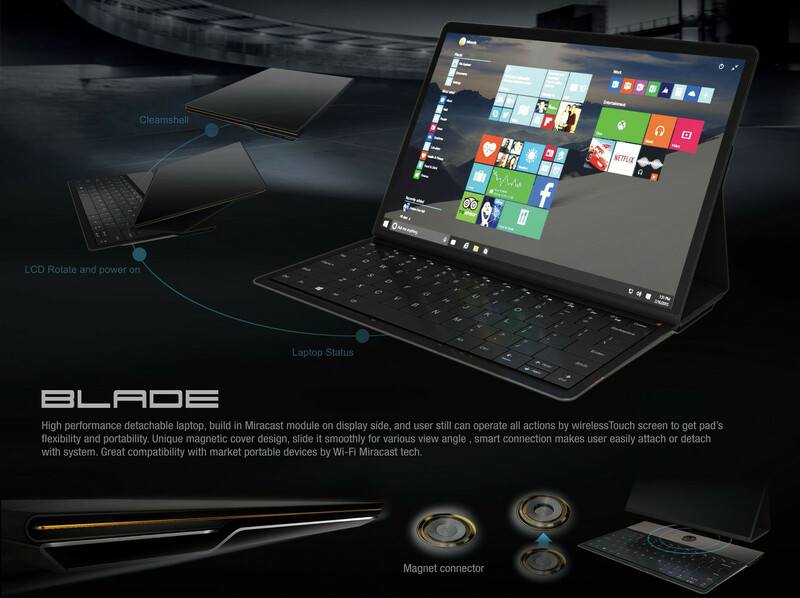 This allows it to function independently of its keyboard, essentially making the Blade dual boot-capable in a way. It's basically both versions of the Yoga Book in one device. The keyboard performs its function as a base via a circular magnet in its upper portion that holds the tablet in place; the tablet's built-in cover works as a kickstand to keep it upright. The tablet itself can also connect to an external display, turning into an Android PC of sorts. The desktop can then be controlled by flipping the tablet over, turning it into a touch keyboard. All in all, it's a one-of-a-kind product that could work out well for Lenovo, assuming other companies don't take inspiration from the Blade and rush to release their own designs first. Once the Blade is released, it is expected to be available worldwide.